UPDATED!!! I’d rather farm barefoot. #WhatTheMuck!?! People make mistakes. Companies make mistakes. The Muck Boot Company has posted a statement about the posts that eluded to a donation by the company to HSUS. The biggest lesson to learn from all of this is that you cannot just have anybody at the helm of your social media. Whoever has control of the accounts has control of the company. UPDATE- But wait there’s more??? Muck Boot company seemed to have stepped in a big pile of the stuff their boots are supposed to keep you out of. Why would a company that sells the majority of their products to farmers, ranchers and hunters donate money to The Humane Society of the United States, an anti animal ag, anti hunting group that just lost their rating on Charity Navigator because of their shady dealings? I took a look at the edits made to one of the posts and it gives me hope that this may have just been a mistake but until Muck Boots corrects what they’ve said, they have lost our family as customers. I’ll be waiting to hear from Muck Boots and Honeywell (the parent company of Muck and Servus Boots) because I’d rather farm barefoot than support a company that supports HSUS! Join me in asking Muck Boots what they were thinking. #WhatTheMuck!?! 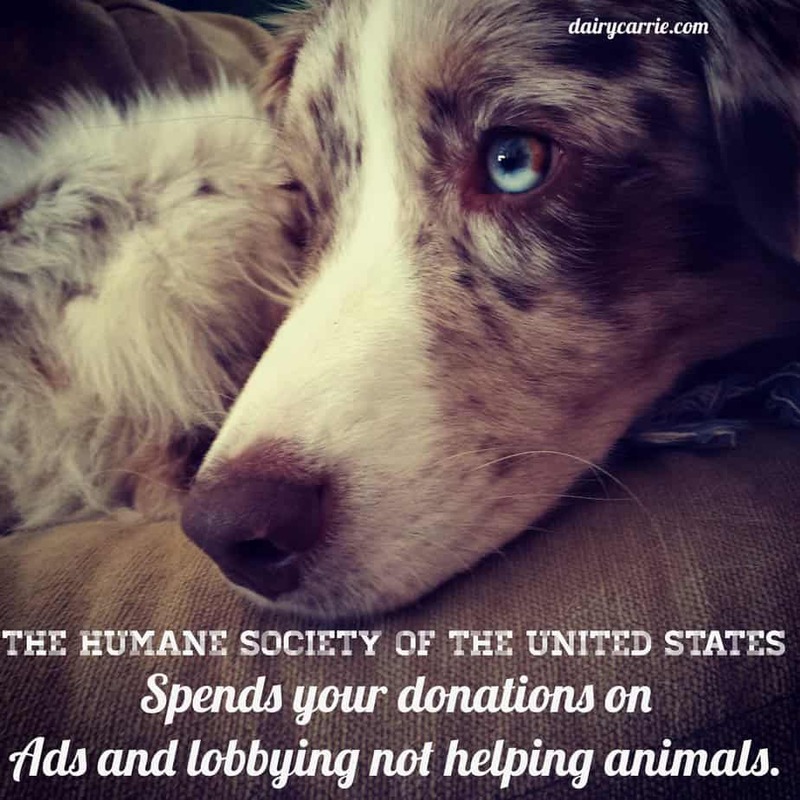 What will you do when HSUS shows up next door? « 6 reasons why this facebook post is lying to you. Thanks Earthlings Movie! Ellen, Selfies, Oscar, Samsung and HSUS. 21 Comments on UPDATED!!! I’d rather farm barefoot. #WhatTheMuck!?! Time to buy Bogs!! I own a pair of Bogs while my fiance has Muck Boots. He has run through two pairs of Mucks while I am still on my first pair of Bogs. I have worn his boots sometimes and find that they are almost equal on comfort and ease of putting on and taking off. They are a snugger fit and I have heard that they are not the best summer boot as your feet can get hot – I have not really had an issue with this too much – but they do a good job of keeping your feet warm in winter. Bogs are a little cheaper but I do love the quality of them. Agreed! I used to buy Bogs because they were less expensive than Muck Boots. I kept buying them for all of the reasons you just said. And now, it seems I have yet another reason to stick with Bogs! I hadn’t heard about this, but that’s definitely no good. Hopefully it’s just a case of incorrect tagging. (Someone without background info could incorrectly assume that a local humane society was a part of a “national humane society” without really knowing there’s no connection, right?) I really love my Muck boots. They make cold, wet hunting days a lot more fun. Are we tweeting or FB hashtagging? hehe. Wow. I need a new pair, but I’m not buying from a company that donates to an organization targeting its customers. Carrie, thanks for taking this one head on! Can’t imagine what they were thinking– just hoping it was an uneducated mistake & something they’re willing to correct. Are we boycotting the Humane Society now? The organization that at a local level is run mostly by animal loving volunteers? The organization that provides emergency temporary shelter to lost and unwanted animals so that they aren’t roaming the streets, biting our children, getting hit by our cars, and dumping our trashcans? They might be evil at a cooperate level, but $2k at a corporate level is almost an insult and not worth my time to protest. It clearly states “in memory of one of our own” is it possible that one of their own was one of those animal loving volunteers who gave of their time and energy to help control animals at a small local level? If I found brand new Muck Boots at our local Humane Society Thrift Store I’d buy them in a heartbeat and be thankful for the money saved. And I might stop by and check because my irrigation boots have sprung a leak and wet muck muck boot is as comfortable as wet sock. The Humane Society of the United States has zero to do with your local shelter/humane society. They take in millions of dollars in donations every year because people think that the money goes towards helping dogs and cats at local shelters but the truth is that they give less than 1% of their money to actual shelters. If you look at the links in the post above you can learn more about their deceitful tactics. That is exactly how things grow out of proportion. People say that exact thing and allow evil to grow to a point where you cannot get rid of it. As already pointed out, the HSUS has little to nothing to do with local shelters across the country. Thin about this, if they did supply money and supplies with the millions they raise each year, why are the shelters always asking for donations of money, supplies,etc.? Guess I should have done my research before spouting my opinion. I assumed they were connected and that they were always asking for money because $2k doesn’t go that far. I just know that our local Humane Society does a fantastic job serving our community so I jumped to defend them. whoops! I’m done with this company if this all shakes out to be the truth. Is it possible that the donation was made in the deceased person’s name and not Muck Boot? They really really need to respond to this and give out complete information. They’ve committed suicide if this indeed did happen. I cant believe you are contributing to an organization that has continuously slandered the name of the hardworking American farmer. Thanks for your posts, Carrie. As you noted, people and companies make mistakes. Clearly we made a mistake – a big mistake, but an honest one – and for that we are really sorry. We understand the frustration and confusion our post caused, especially because the organization mistakenly identified is one that many of our loyal customers feel so strongly about. But we want to make sure you and your readers understand that a donation has not been made by The Original Muck Boot Company to the HSUS. Our employees did collect money that was delivered this morning to the Humane Association of Northwestern Rhode Island (HANRI) to honor an employee that passed and whose family asked that in lieu of flowers the money go to the local shelter. We have been in touch with HANRI and apologized for creating confusion. We hope this helps clear things up. We’re heartbroken that our community feels we let them down. Hi Sean, thank you for taking time to comment. I’m sure that while this has been a learning experience, it has also been a very stressful time. I’m glad to know that the whole thing was a misunderstanding. I’m glad to continue to support your company and I’d certainly buy you a beer sometime! Hope the rest of your week goes better! unfortunately Muck boots are easily the best of any brand I have ever owned. The good to come of this is the response to a comany from social media that they need to understand who they are relevant to, and not take their customers for granted. Im kind of upset right now!! I just bought a pair of boots and there’s a tag I didn’t see.. That the state of California claims they are cancer causing.. In the boots just touching them and wearing them!! Is this true does anyone out there know if. They ever rectified this problem in these boots?